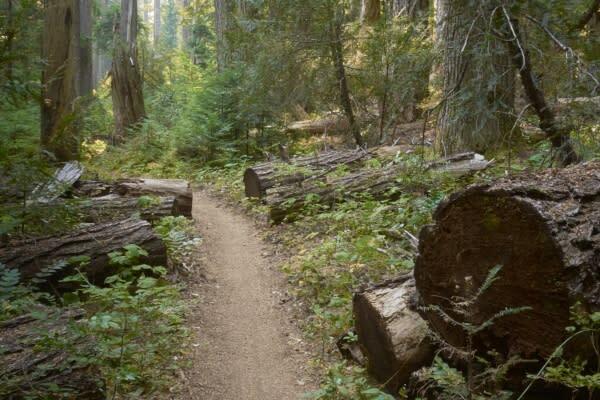 This Oregon part of the Pacific Crest National Scenic Trail (PCT) provides easy access for the PCT "tourist." From Highways 58, 242 and 20 you can walk a few steps or a few hours on the trail. Local guides can provide hikers with shuttle service to and from the trailheads. The Willamette Pass Trailhead is just north of Diamond Peak Wilderness at Willamette Pass. The trail here is family-friendly with gentle terrain through shady forests and past picturesque lakes. Hike 6.6 miles (10.62 km) round trip through the Deschutes National Forest to the Rosary Lakes. Hike past the lakes to Maiden Peak Shelter for a total 11.6 miles (18.67 km) round trip. Stay in the first come, first serve shelter built by the Eugene Chapter of the Oregon Nordic Club. It offers a wood stove and can accommodate just over a dozen people. Directions - From Oakridge - Westfir, follow Highway 58 to milepost 62.5, just past the Willamette Pass Ski Area. The signed trailhead is on the north side of the highway. Restrictions - Wilderness Area, hiking or horses only, no bicycles or motorized vehicles. Weed-free feed required. Pro-tip: Mosquitoes are abundant in July and will not hesitate to bite through clothing. Bring bug-spray or bug repellent clothing. 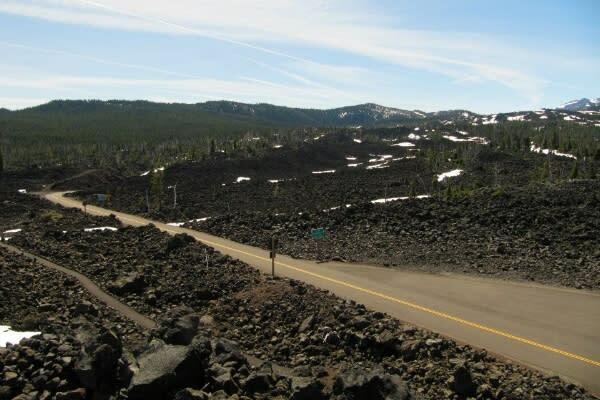 The McKenzie Pass Trailhead is at mile 1989.5 (3187.3 km) of the PCT on the northern boundary of the Three Sisters Wilderness. The trail crests the old McKenzie Pass with a summit elevation of 5,324 ft. The landscape includes thin pine forest, expansive lava fields and mountain vistas. The trail here is family-friendly, but rocky, windy and without shade. Wear sturdy shoes, sunblock, a hat and bring water. 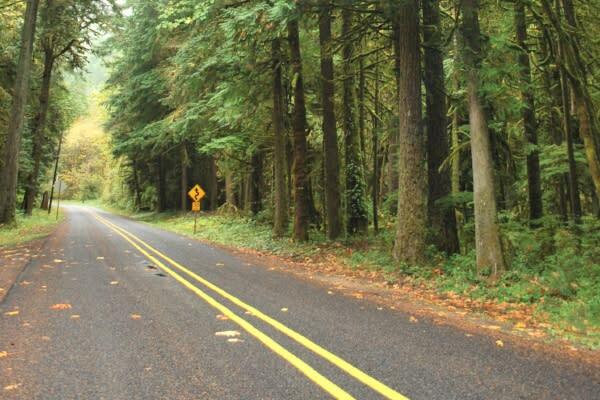 Directions - From McKenzie River, drive Highway 242 to a half mile west of the Dee Wright Observatory. Hwy 242 is typically closed November to June. Permits - Day Use Fee Area. Federal passes honored here (Annual Northwest Forest Pass, Northwest Forest Day Pass and America the Beautiful). Pre-purchased permits recommended. A Wilderness Self Issue Permit (obtainable at the trailhead). Restrictions - Wilderness Area, hiking or horses only, no bicycles or motorized vehicles. Pro-tip: Stop at the McKenzie River Ranger Station on the way to the trailhead. They have up-to-date information about snow levels early in the season and fire closures that occur late in the season. The Santiam Pass Trailhead is just past Hoodoo Ski Bowl. The pass is at 4,817 ft. Directions - From McKenzie River Highway 126 continue north where it joins Highway 20. Pro-tip: Find out what permits you need for the sections you plan to hike next by contacting the nearest ranger station, which can also update you on trail conditions and closures.